Makes me wish I had that hexagon punch. I have that hexagon punch! Sometimes I wonder how much it would go for on ebay, but then I realize I do not want to part with it! Lovely, lovely card, such wonderful colors! So LOVELY and SPRING-Y! LOVE the hexagons! A hexagon punch?! I MUST have one!!! 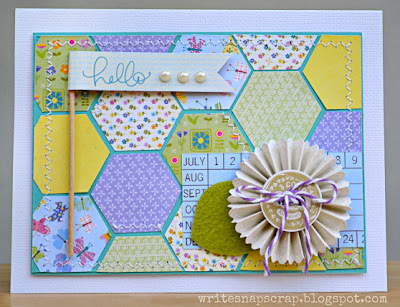 I love your card, love the pastel colors, and, of course, I love your super-trendy, super-cute hexagons! this is so cute!!! i just made a couple of projects with this line! you rocked the hexagons!! Cute cute card! Love the quilt like feel of it! I've been trying to get my hands on that punch and then someone told me to use my silhouette. They had a hex shape so I picked that up. There really should be more hex punches out there! Pretty card! What a great punch!!! Love your cute card, Izzy! Those hexagons turned out awesome! I also love your rosette! Have a great weekend! You were officially trendy before this! Beautiful mix of colors and patterns Izzy! The punch is cool! You weren't the only one behind the times! I still haven't done hexagons yet, either. One day I will--I love the way they look!! How awesome is that punch!!??!?!?!?! I loveeeeeeeee it!!! I love love love your card too!!! LOVING the colors and your hexagons are perfection!!! Beautiful. That's one CM punch I never got and now I wish I had. So cute! I must find me a hexagon punch...AND SOON! You don't see a lot of punches, huh? This is a great find. You will use a lot. Gorgeous colors and design! Have a great weekend! Super cute card! And that hexagon punch! Too cool, I have never seen a punch in that shape, you are a lucky girl! TFS! Loving that card and the hexagon punch. I love the hexagons as the background! What a fun punch to have, too! 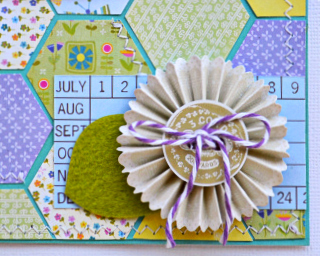 Love this Izzy...the hexagons are so great! Lovely colouring and love the flag! 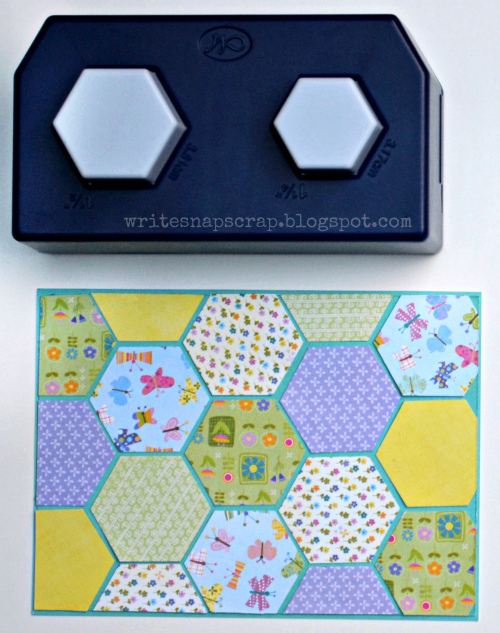 I love hexagons like crazy! This card is so very awesome. I love the colors a lot! Adorable! Now I will have to try hexagons.